It was okay to bend the truth, if you were doing it out of love. It was okay to smoke dope, as long as you were not hooked on it. It was okay to get drunk, as long as you weren't an alcoholic, or a closet drinker. As long as you were basically, a good person it was okay to do all the 'not quite right', or totally wrong things once in a while. It didn't matter, often because it seemed as if we got away with them at the time. 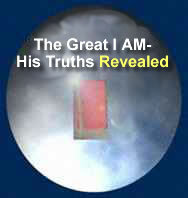 God showed me how the world really is without him in your heart and Jesus as your Lord and Master. You live in a very twisted reality, a world where anything and everything can be manipulated, rightly or wrongly, for convenience or price. I thought of all the people I had hurt over the years, all the lies I had told and the wrongs I had done. I soon realized that my so-called excuse of being a basically good person was just that, an excuse that I had been living on all this time. I didn't stop doing these things straight away. They were habits formed that had to be broken and they took time. My introduction to Jesus didn't come straight away like it does for some. God had picked me up from rock bottom and Jesus had to stand me on my feet first. When he did, he showed me who he was and all he has done for me. I saw him hanging on the cross saying, "I did this for you Debbie. I went through this for you, so you could be forgiven and have eternal life with me in the presence of my Father. Every wrong that you thought was so tiny, I died for willingly, because I knew that one day you would be standing here with me. I love you that much, that I want to offer you my forgiveness. Will you let me into you life and receive this forgiveness and my everlasting love?" I felt so small, dirty, unclean, worthless and bad. Believe it or not, it was actually hard for me to say 'yes' and come to him, but looking into his eyes, I knew he loved me and meant it. I got down on my knees and repented of every little thing I'd done wrong in my life and I repented for never knowing him and not ever caring that he had died for me. And he cleansed me. In that one instant, he unloaded my heart of so many burdens. Forgiveness for wrongs that I could never right, a lifetime of living for myself, a lifetime of unforgiveness of the people who had wronged me or I had wronged, to name a few. Some I sought forgiveness for and received, while others I couldn't bring myself to ask forgiveness from. He enabled me to pray blessings for all those people and their close families and to later appologize to some of the ones I could still contact and ask for their forgiveness and receive it.